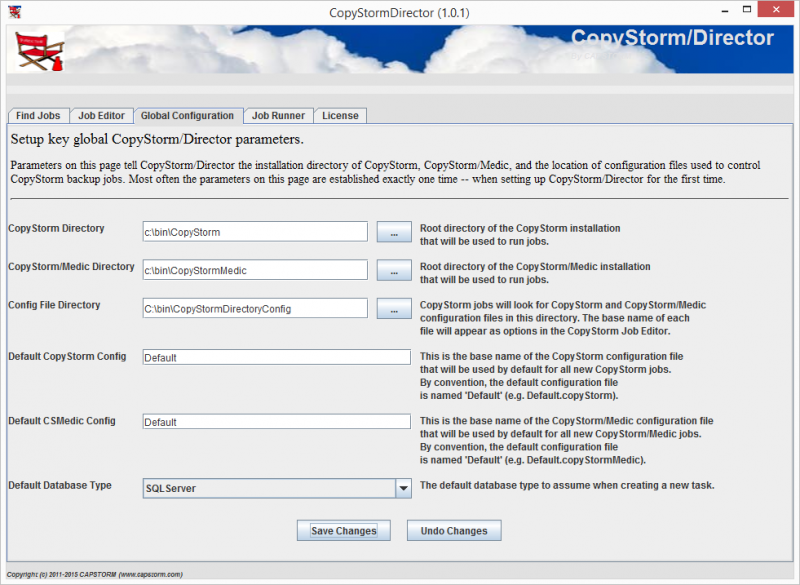 One of the first steps in setting up a new CopyStorm/Director database is to establish a few key global parameters. The Global Configuration tab is used to establish all required global parameters. If you fail to enter all values or enter a value incorrectly, the system will detect and report the issue when a task runs.